Extensive experience in the areas of Architectural design, building surveying, site surveying, retail design, space planning and project management. Specialties Exceptionally...Read moreExtensive experience in the areas of Architectural design, building surveying, site surveying, retail design, space planning and project management. Exceptionally professional, conscientious and highly motivated, architectural Design Director. Building & Retail Sector Surveyor,space planner and Project Manager. Skilled in delivering precise, accurate high class construction and site drawings to meet any clients requirements. Summary: Cox Design and Planning has grown from strength to strength due to our ability to create an innovative solution for all scenarios. We are big enough to provide a comprehensive and responsive service yet small enough to offer personal attention, and one of few consultancies on this scale offering integrated design and technical skills. We have a dedicated and highly skilled team, who can guide you through your project, from concept design through to construction. Through this teamwork approach we can achieve the highest standards of professionalism and deliver the very best service to our clients. All projects undertaken by Cox Design and Planning will be handled by a team of top specialists with one objective in mind; to achieve the best solution, as quickly as possible and at a price which represents exceptional value for money. 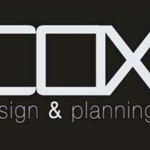 Company: Cox Design and Planning Ltd. Description: Manages the design department and drives the creation of detailed design drawings. Takes primary responsibility of all Cox Design and Planning designs. Act as an in-house mentor and manager of the Design Team, offering leadership, guidance, assistance, and feedback on a regular basis. Work closely with the other Design managers to ensure quality results. Liase with all clients and develop existing business links. Education Summary: Cox Design and Planning is driven by the modern built environment and the belief that our lives are directly influenced by design. We deliver innovative and practical design ideas and manage them from project conception to project completion. Our work is significantly influenced by the need for sustainable design and construction techniques. As our core business is directly working within the built environment, we believe that we have a responsibility to present our clients with ideas on achieving an element of sustainability in each of their ventures, whilst understanding and justifying the potential impacts on a projects budget. We aim to maximise the value of our clients' property through assisting in every stage of development, from detailed design and planning to project management. Our success is based on a clear understanding of our clients' needs and their right to receive structured advice that is both personal and thoroughly professional. Great work from Luke and the team.